Ever since I was a little kid, I’ve always loved to build stuff. If I was in the back yard, I was building a treehouse. If I was in my basement, I was building a pillow fort. If I was anywhere near LEGO pieces, I was building a masterpiece! Or a random hodgepodge of multicolored blocks that I called a spaceship. 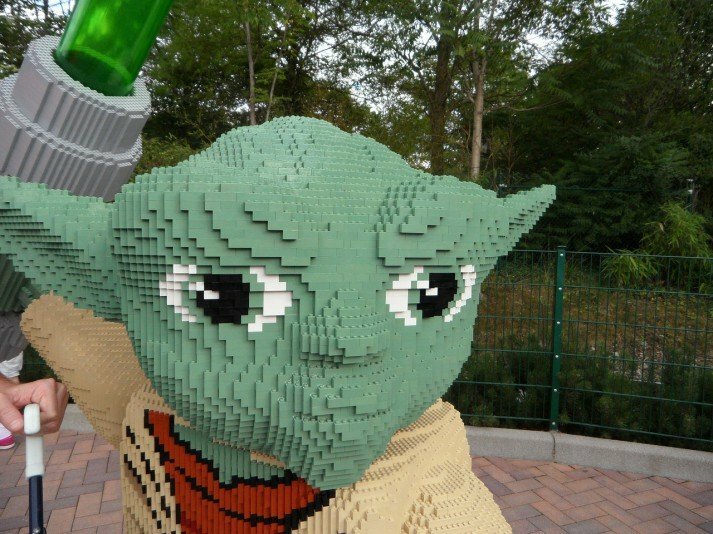 This is why most photos on this site are of LEGO characters! It’s no surprise that my favorite book of all time is The Pillars of the Earth, which follows the construction of a massive cathedral over many decades in a small town. What sounds like a weird concept and boring story turns into one helluva mystery and adventure. Needless to say, I love building stuff and learning about building! 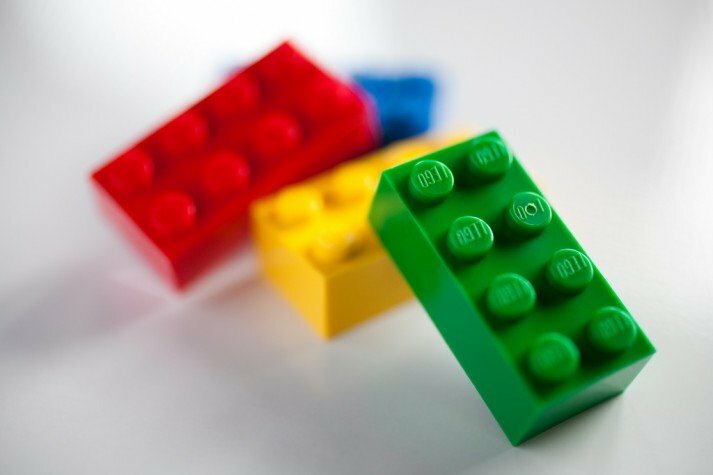 Now, sure, the LEGO photos are cute, but they’ve actually been serving a far deeper purpose – I’ve been slowly brainwashing your subconscious with each picture – showing you the true secret to a healthy body, stronger muscles, and a better life…one brick at a time. So, when I recently stumbled across a quote that hit me like a ton of bricks (sorry, pun TOTALLY intended), I knew it was time to teach you everything you need to know about getting fit with LEGO pieces. I then thought of all of the creations in the world built out of bricks: the Pyramids of Egypt, The Cathedral of Notre Dame, and LEGOLAND’s Model of New York City. In order for these creations to withstand the test of time, every brick, stone, or LEGO piece had to be placed in the perfect spot, next to the previously perfectly placed piece (say THAT three times fast). Look at a final plate from Jiro. Or take a walk through the Notre Dame. Watch that fly-by video of Rivendell. It’s incredibly easy to focus on the finished product: “Wow that looks amazing, and it look like it took a crazy amount of work…there’s no way I could possibly do that.” But that’s not how great things are built. Great things are built one brick at a time. I see the same thing every single day in health and fitness. We have readers that have long journeys ahead of them, needing to lose hundreds of pounds. Or we see some people who can only focus on the finished product; they see somebody else they want to look like, or they think what’s in front of them is too daunting. It’s quite easy to look at the plans for a cathedral, or the blueprints for a LEGO skyscraper and get overwhelmed. Today I want you to stop worrying about that final plan, and instead focus on just putting the next LEGO brick in the right spot. THAT’S IT. Forget what happened yesterday, what has to happen tomorrow, an hour from now, or even five minutes from now. All we have to worry about is putting that next brick where it belongs. Once that brick is placed, we can move onto the next brick. If we can put our faith in the plan that’s in front of us, we don’t need to worry about what it will eventually become or how quickly we’ll get there. We just need to do the one thing, and do it well. And enjoy it! In nerdier terms, Frodo didn’t concern himself with destroying the ring in Mordor, but rather asking “Gandalf, is it left or right?” and then putting his faith in his feet to get him there. I want you to do the same. Get really damn good on focusing where that next brick is going. Don’t worry about the 100 pounds you need to lose, instead focus on making a better decision while in the lunch line today. Or be like Jiro, and try to make your next meal a masterpiece – even if it’s just chicken stir-fry. We are building towards something epic, and every individual decision is something we get to control – that’s pretty awesome. Like building a castle out of LEGO bricks, building is most of the fun. The finished product is just a bonus! Don’t worry about what you’re supposed to look like a year from now, instead focus on the completing that next set of push ups with great form. Or how you can cook an epic meal for dinner. Or how you can get a tiny bit closer to doing a pull up! When Joe lost 128 pounds in 11 months, he didn’t step on a scale for half a year – he just put his faith in his brick-laying, every day focusing on his next meal, his next workout. Don’t worry about the 26.2 miles you need to run in a marathon, instead focus on running past the next tree as smoothly as possible. And remind yourself why you’re running: because you enjoy it! Enjoy the wind in your hair, the ability to place your next foot anywhere, and the freedom it brings you. Don’t worry about all of the things you need to get done before the weekend, instead focus on the NEXT thing and do it to the best of your ability. Get that done with focus and precision, and then move onto the next task. Repeat. The best part about all of the scenarios above: if you can lay enough bricks consistently, the cathedral takes care of itself. Falling in love with the process we are completing will allow us to build the best damn thing ever, but it requires us to take a brick-by-brick view of life. Nerd Fitness has provided the blueprints for your leveled up life, so let US worry about that. All I want you to worry about now is where to place that next brick, and how perfectly you’re going to place it. I am not good at the violin, and it’s intimidating me so much that I opt out of practicing a lot. So, I’m going to stop worrying about playing like Kiana in Gaelic Storm, and instead just focus on playing the next song in my song book today. What about you? What’s your cathedral? And what’s the next brick you’re going to place? I’m feeling particularly generous today, so let’s give away some free stuff! 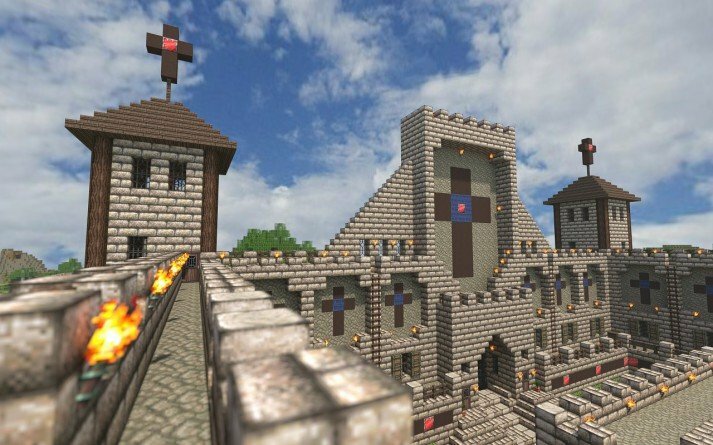 I want you to leave a comment: tell us what kind of Cathedral you’re trying to build, and how instead you’re going to focus on the placement of your next brick. How can you fall in love with the method with which those bricks are being placed? We’ll pick 3 winners at random and send them a Nerd Fitness shirt from the NF store. Tell us about your bricks before 11:59pm on January 22nd to be eligible! PS: Seriously though, if you haven’t read it, check out The Pillars of the Earth. It’s a monster at 900+ pages but it surprised the hell out of me and I’m about to start reading it again.